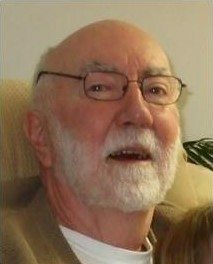 Thomas C. Lobb, 83, of Ocala, Fla., formerly of Jamestown, died peacefully in his sleep Monday, April 9, 2018, in Timber Ridge Nursing and Rehabilitation Center, Ocala, Fla. He was born July 19, 1934, in Brisbin, Pa., a son of the late John Lobb and Mabel Sankey Lobb. Prior to his retirement, he was employed by Art Metal, Hopes Windows, and the Board of Public Utilities as an operator in the power plant. After retiring from the BPU, he worked part-time for the Fenton Mansion as the maintenance superintendent for 10 years. He and his wife, Sylvia were life-long members of the Democratic Party. He was a member of the IBEW, Falconer Rod and Gun Club, The Moose Club and The Vikings. He loved fishing, hunting, wildlife, reading, family and his recliner. Surviving are four children, Mark (Linda) Lobb of Hewitt, Texas, Gregory Lobb of Masontown, West Virginia, Susan (Scott) Prosser of Ocala, Fla., and Timothy (Liz) Lobb of Jamestown; six grandchildren, Holly Lobb, Stephen, Ben, and Sarah Prosser, Lyndsey Lobb, Amber Lobb; two great-grandchildren, Gavin and Cooper Lobb; a sister, Betty Carson of Brisbin, Pa.; and seven nieces and nephews and their families. He was preceded in death by his parents; his beloved wife, Sylvia Greene Lobb whom he married July 14, 1985, and who died Feb. 12, 2017; and two brothers, Roy and Donald Lobb of Houtzdale, Pa. The funeral will be held at 1 p.m. Saturday, April 21, 2018, in the Lind Funeral Home. The Rev. Dayle F. Keefer will officiate. Burial will be in Bentley Cemetery, Lakewood. Friends will be received from 11a.m. to 1 p.m. Saturday in the funeral home prior to the service. Memorials may be made to The Jamestown Audubon Society, 1600 Riverside Road, Jamestown, NY 14701.